Convergent Science is an innovative, rapidly expanding computational fluid dynamics (CFD) company. Our flagship product, CONVERGE CFD, is a revolutionary CFD software that eliminates the grid generation bottleneck from the simulation process. 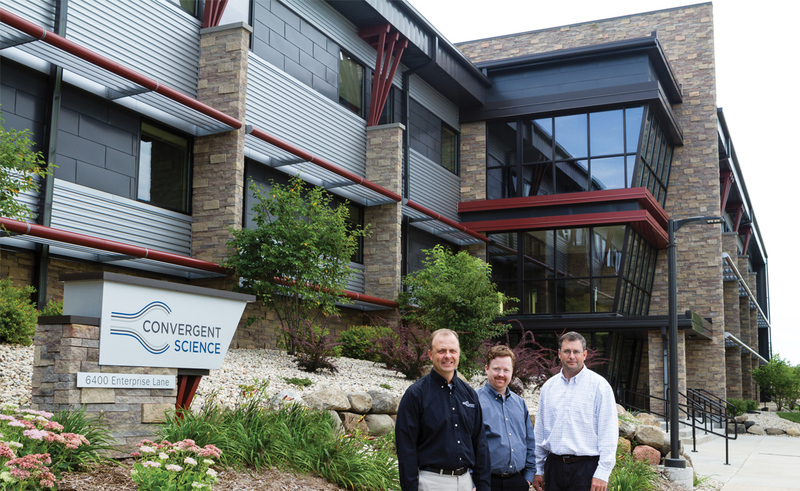 Founded in 1997 by graduate students at the University of Wisconsin-Madison, Convergent Science was a CFD consulting company in its early years. In 2008, the first CONVERGE licenses were sold and the company transitioned to a CFD software company. Convergent Science remains headquartered in Madison, Wisconsin, with additional offices in the United States, Europe, and India and distributors around the globe. We are proud to offer exemplary customer support, including free CONVERGE training in the United States and Europe several times per year. Our mission is to enable our customers to perform revolutionary computational fluid dynamics simulations by creating accurate, versatile, user-friendly software and providing unparalleled support. Ready to apply the power of CONVERGE to your problem? Contact us today.